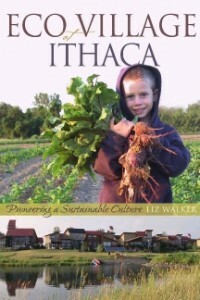 Two books by EcoVillage Ithaca co-founder Liz Walker offer an informative and inspiring look at this intentional community, and the broader community of Ithaca, NY. Recommended reading for college classes, and anyone planning a visit or considering a move here. In a world filled with stories of environmental devastation and social dysfunction, EcoVillage at Ithaca is a refreshing and hopeful look at a modern-day village that is taking an integrated approach to addressing these problems. It tells the story of life at EcoVillage at Ithaca, an internationally recognized example of sustainable development. This living model provides a rare glimpse into one possible – and positive – future for the planet. 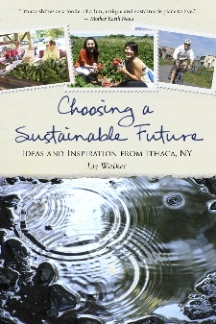 The city of Ithaca, NY has embraced the sustainability revolution with incredible enthusiasm. From co-ops and carshares to credit unions and community health care, Ithaca is rising to the challenges of the day with practical, real-world solutions. Choosing a Sustainable Future explores all aspects of the city’s emerging green culture, introducing a rich variety of successful innovators and ideas. Frances Moore Lappe, author of Diet for a Small Planet, and Getting a Grip 2: Clarity, Creativity and Courage for the World We Really Want. 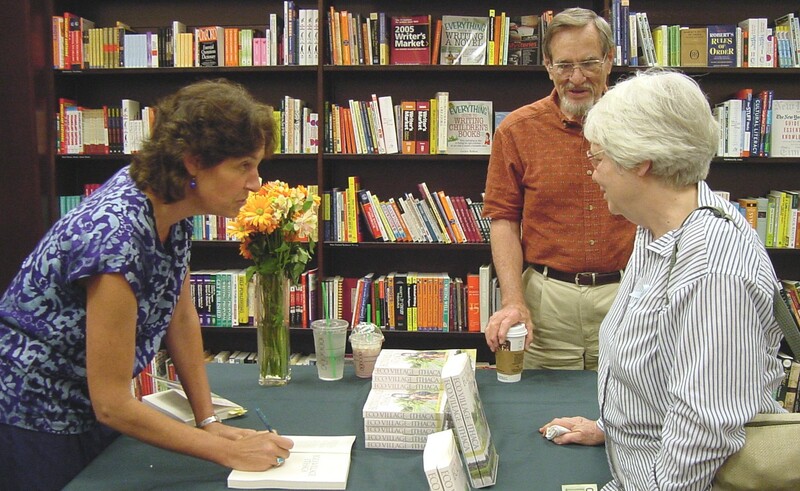 John Robbins, author of Diet for a New America and The Food Revolution.